Yawn. This constant move of Hip-Hop into R&B frankly bores me. A style of music which was once all about righteous anger has now been transformed into easily digestible pop. This idea of "cross-over" music is just a compromise and a watering down of the original art-form. And then the albums get longer and longer without having anything more to say. This album is a perfect example of that. This album might be very well produced and all but this is not what I want from hip-hop or even from R&B. IT is somewhere in the middle not being very good at any of the two styles. Though The Miseducation was largely a collaborative work between Hill and a group of musicians known as New Ark (Vada Nobles, Rasheem Pugh, Tejumold and Johari Newton), there was "label pressure to do the Prince thing," wherein all tracks would be credited as "written and produced by" the artist with little outside help. While recording the album, when Hill was asked about providing contracts or documentation to the musicians, she replied, "We all love each other. This ain't about documents. This is blessed." In 1998, New Ark filed a fifty-page lawsuit against Hill, her management, and her record label, stating that Hill "used their songs and production skills but failed to properly credit them for the work." 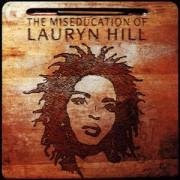 The musicians claimed that they either wrote or produced 13 of 14 tracks on Miseducation, despite the liner notes of the album claiming that it was "produced, written, arranged and performed by Lauryn Hill." New Ark requested partial writing credits and monetary reimbursement. The suit was settled out of court in February 2001 for a reported $5 million. New Ark's lawyer, Peter C. Harvey, scoffed at Hill's image as a prolific songwriter. “She is not a musician, she is not a producer...I dare say if you put Lauryn Hill in a studio alone, she couldn’t do it again.". In a 2005 Interview, Lauryn responded saying " I am a Songwriter, Producer and a Musician and that I gave people too much credit that they didn't truly deserve. I can do it again, because I am a Artist thats speaks from my heart and from my mind. If people benefit off my new music to come then so be it, I will only make music to give information to my own children". As of 2009, Hill has released only one album after Miseducation - 2001's MTV Unplugged No. 2.0 - which sold a fraction of Miseducation's numbers. This, Jagged Little Pill & Cracked Rear View have got to be the three easiest CDs to find used here in California. You were being very generous giving it a 7. Looks like we're starting to hit the "over-hyped recent crap" part of the book, and Britney and Linkin Park are still forthcoming.